There is increasing concern about the quality of most people’s diet. Healthy eating today is much more difficult than in the past because of modern farming and food preparation procedures. This even has had an impact on the nutritional value of fresh fruit and vegetables. As well in pregnancy there are more significant implications of a suboptimal diet as you are also feeding your developing baby! 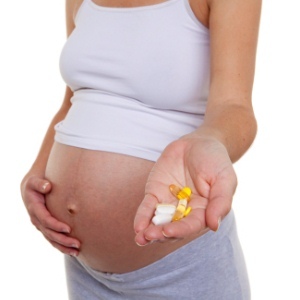 Therefore I recommend all pregnant women take a good quality general multivitamin supplement in pregnancy. This may not be possible in the first weeks as supplements sometimes cause nausea and so pregnancy nausea can become worse with supplement ingestion. To minimise any nausea caused by supplement ingestion try to take your supplements with food. An adequate calcium intake is important for both you and your baby. In pregnancy your calcium intake should be 1gm and 1.5 gms per day. If you are aware your intake is less than this, then extra calcium intake is important. This can be with low fat milk or supplements. Most multivitamin supplements contain calcium. As well there are calcium supplements. Fluoride is important for your baby’s teeth to have strong enamel. Fluoride is in tap water in Sydney. But if you rely on bottled or filtered water for your water intake your fluoride intake may be suboptimal and fluoride supplements indicated. But don’t take too much as excess fluoride can damage the enamel of your baby’s teeth. Folic acid at the dose of 500ug per day is recommended to prevent spina bifida. This should be taken before conception to have the maximum beneficial effect in minimising the chances of spina bifida in your baby. Doses up to 5mg per day are considered safe and such a dose is recommended if you have had a previous baby with spina bifida. There are increasing concerns about iodine levels in diet. Low iodine is associated with underactive thyroid, thyroid goitre and in extreme situations cretinism in a newborn baby. An iodine intake of 200 ug per day is recommended in pregnancy and lactation. The best source is seafood and seaweed. Also iodine is a listed ingredient in some multivitamin supplements (such as Blackmores I-Folic). Kelp tablets are a type of seaweed extract, and can provide an alternative iodine source. I will arrange for your iodine level to be checked at your first antenatal visit. Also see the question and answer topic iodine in pregnancy. Adequate iron intake is important to prevent iron deficiency anaemia, a condition which is common in pregnancy, especially in vegetarians. Foods rich in iron include liver, lean red meats, seafood, iron fortified whole grains, greens, tofu, some vegetables, chicken and turkey, nuts, egg yolks, dark grape juice and some dried fruits. Iron is also in many multivitamin. supplements. As well there are specific iron supplements such as Fefol, FAB, FGF, Ferrum H, Ferro-Gradumet & Vitamin C. Vitamin C can increase the absorption of iron supplements. The challenge with iron supplements is they often cause constipation. Spatone is a liquid iron supplement which reported to be less constipating.